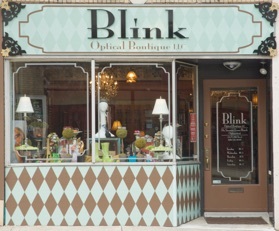 Blink Optical Boutique is located across from the Nineteenth Street Theater in Allentown. It was created by Dr. Evano Hauck to provide a unique combination of eye care and eyewear by offering state-of-the-art optometric care and exclusive lines of fashionable designer frames and sunglasses in one location. We perform routine eye exams, which include contact lens fittings, bifocal contact lens fittings, post-op cataract care, and pre- and post-op LASIK care. She also sees diabetic and hypertensive patients for routine care and works closely with area ophthalmologists when her patients are in need of further treatment. The Blink experience is not just for patients. Customers are encouraged to stop by the Blink Optical Boutique and browse. We have an extensive selection of designer sunwear. Many of the collections we chose for the store are things that can't be found in the Lehigh Valley. Now people won't have to travel. to Philadelphia or New York to find styles they desire. *Please note: Your requested appointment is not scheduled until you receive confirmation from our staff at Blink Optical Boutique. Blink Optical Boutique, located in the heart of the 19th Street Theatre District, is currently looking to add a Part Time Optometrist to its growing team. Created ten years ago by Dr. Suzanne Evano Hauck, Blink Optical provides a unique combination of eye care and eyewear by offering state-of-the-art optometric care and exclusive lines of fashionable designer frames and sunglasses in one location. 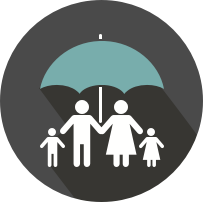 Qualified candidates will possess an OD degree from an accredited School of Optometry, a current Pennsylvania Optometry License, and have a National Provider Identifier (NPI). Additionally, candidates should have a minimum of two years experience with proven success in providing cutting edge eye care while demonstrating exceptional and personalized patient care, communication and attention to detail. A passion for creativity and trend analysis is a plus as well as computer/software proficiency. Availability to work Saturdays is required. Interested candidates who meet the requirements listed above should forward a resume and letter of interest to Peg Ovsak Wakstein, HR Consultant, at margowak@aol.com. Blink Optical Boutique is an Equal Opportunity Employer. For more information, please visit our website at http://blinkon19th.com/.